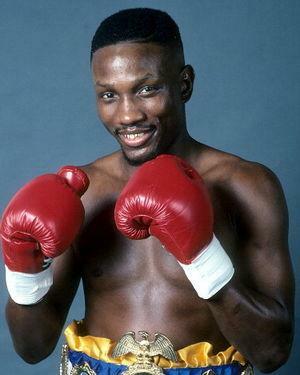 Pernell Whitaker was born on the 2nd January 1965 in Norfolk, Virginia USA, and is best known to the world as a retired professional boxer, who held titles in four different weight categories. After his retirement, Pernell stayed in the sport as he became a trainer, which also increased his net worth. His boxing career was active from 1985 until 2001, and he became a trainer in 2005. Have you ever wondered how rich Pernell Whitaker is, as of mid-2016? According to authoritative sources, it has been estimated that Whitaker`s net worth is as high as $5 million, owed mostly to his involvement in the sports industry as a boxer and trainer. Pernell`s amateur career began before he was even in his teens, as he entered the ring at only nine years old; he fought 214 recorded bouts, losing just 13 before he turned professional. He had won the gold medal in Lightweight category in Olympic Games 1984 held in Los Angeles, defeating Luis Ortiz. The next year he made his professional debut, in the lightweight category against Farrain Comeaux. Pernell came out victorious by TKO in second round. After the successful debut Pernell continued successfully, defeating boxers such as Mike Golden, Nick Parker, Alfredo Layne, and eventually Roger Mayweather for the vacant NABF lightweight title, which only further increased his net worth. He retained the title by defeating Miguel Santana, and in the same won the USBA lightweight title. Pernell`s first loss came in a match for the WBC lightweight title against Jose Luis Ramirez; the judges awarded Ramirez the victory, however the decision was later stated as one of the most controversial. Nevertheless, Pernell continued successfully with his career, winning the IBF lightweight title by defeating Greg Haugen in 1989, and in the next years, Pernell dominated the ring in several categories, which only brought increases to his net worth. He won the vacant WBC/The Ring lightweight title in a match in which he defeated Jose Luis Ramirez, then he came out victorious against Juan Nazario, winning the WBA lightweight title. His next successful venture was winning the IBF light-welterweight title, against Rafael Pineda, and then the Lineal/WBC welterweight titles, defeating James McGirt. He retained his titles on several occasions, defeating boxers Santos Cardona, Jake Rodriguez and Diosbelys Hurtado, among others, before losing to Oscar De La Hoya in 1997, after which his career went in turmoil, as he was tested positive for cocaine after the fight against Andrey Pestryaev, which he won, but the outcome was nullified. He returned to ring two years later, but lost to Felix Trinidad, and his last match was in 2001, which also ended in a defeat, this time to Carlos Bojorquez. Pernell ended his career with the record of 40 wins, one draw, and only four defeats. He was subsequently inducted into the International Boxing Hall of Fame in 2006. Four years after his retirement, Pernell returned to boxing as a trainer; so far he has guided such boxers as Dorin Spivey, Calvin Brock, and Zab Judah among others. Regarding his personal life, he was married to Rovanda Anthony, with whom he has four children; the couple married in 1985, but they eventually divorced. He also has a daughter from one of his previous relationships. Pernell has had a few troubles with the law, primarily for possession of cocaine, but also had problems with tax payments, which brought national attention, and a spot in the headlines when he evicted his mother and siblings from a house he owned, needing to sell it to pay taxes. Children Dantavious, Devon, Dominique, Pernell Whitaker Jr.